I found this little gem via Party Frosting. I thought it was so cute, I wanted to share it with you here! They're made with scrapbook paper over Crystal Light boxes. 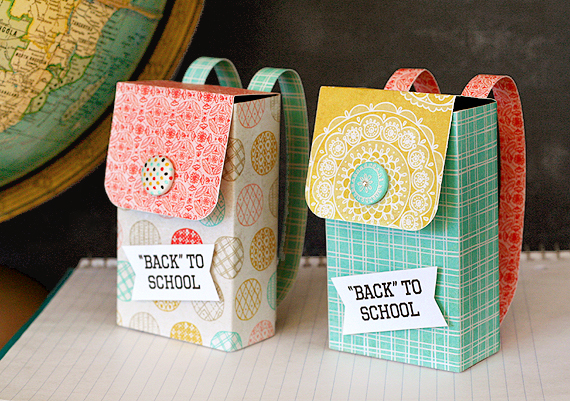 The gift box is perfect to fill with a treat and tuck into your kid's backpack as a first day of school surprise, or for a back to school party. They would even make cute favor boxes for a camping party. Find the full tutorial at Basic Grey.